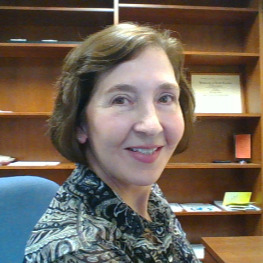 Find databases through the library's web site: http://library.reynolds.edu. Databases are organized both alphabetically and by subject. Academic journals, scholarly articles, and peer-reviewed articles all mean the same thing! All are names for the same type of articles, and they can all be found in the databases. Unsure about which databases to use? Contact a Reynolds Librarian for help! Few free scholarly journal articles and books. Best for college level research. When you need to find credible information quickly. Best for personal information needs including shopping and entertainment. When you have time to more carefully evaluate information found on the open web. Articles and books written by journalists or experts in a professional field. All material in database is evaluated for accuracy and credibility by subject experts and publishers. Lack of control allows anybody to publish their opinions and ideas on the Internet. Not evaluated (for the most part). Need to more carefully evaluate web sites for bias, accuracy, and completeness. Library database subscriptions are paid for through your tuition and state taxes. To access the Reynolds Library databases from off-campus, you will need to logon with your My Reynolds username and password. Most information found through a search engine is free. Many web sites found through Internet search engines contain licensed, proprietary information and require you to logon with a user account. You must already be a member or pay for a subscription in order to access the material from these web sites. The organization and various search capabilities of library databases allow users to search for and retrieve focused and relevant results. Less ability to search for and retrieve precise results using search engines like Google. Need to wade through a “grab bag” of results. Published content from journals, magazines, newspapers and books does not change. Most material remains in database for a significant length of time and can be easily retrieved again. Web site content can often change. Web pages and sites may disappear for a number of reasons. May not be able to retrieve the same content at a later time. Many databases include a citation tool that will automatically generate an APA or MLA style reference for the article you select. You may still need to “tweak” this citation but these tools serve as a good starting point for citing your articles in a particular format. Most web sites found on the open web do not provide a citation tool or an already formatted APA or MLA style reference for the web pages on their site. You will need to start your citation from scratch using APA or MLA style manuals or handouts from your instructor or the library. While there are newspapers and other services, like Google Scholar, available free online, the library databases are services to which we pay to have access. Most of the articles contained in the library databases cannot be found through a search engine. A library database, such as Academic Search Complete and MasterFILE Premier, is an organized collection of electronic information that allows a user to search for a particular topic, article, or book in a variety of ways (e.g., keyword, subject, author, title). Library databases contain thousands to millions of records or articles. The library purchases subscriptions to these databases (similar to purchasing a subscription to a magazine or newspaper). What type of resources are indexed in library databases? books, pamphlets, government documents, etc. What types of information do the databases provide? All databases provide citation information about the items they index. A citation typically consists of: author's name, title of article, title of the book, journal, magazine, and newspaper, publisher, date of publication. Many library databases also provide abstracts of the items they index. An abstract is a brief summary of the article. Many library databases also provide the full text (the entire article or book) for items they index. How do the library databases differ in what they cover? Some library databases are general - meaning that they index items from many subject areas or academic disciplines. If you're not sure which database to choose, you may want to start your research with our most comprehensive and general database, Academic Search Complete. Most library databases index items from a specific subject area or academic discipline (e.g., business, health, history, psychology). To browse databases by subject, use the Filter by Subject/Discipline menu option. How do I access and use the databases? The library databases can be accessed from the library’s home page. If you are accessing the databases from off-campus, you will be prompted to login with your - My Reynolds username and password. The databases are accessible 24/7. If you need help in using the databases, schedule a one-on-one research consultation with a librarian or sign up for a free library workshop. Can't I get the same articles in the library databases by just Googling it? In most cases, no. Most of the information retrieved from the open web by using Internet search engines, such as Google, is free. Library databases contain copyrighted, licensed, proprietary information that is not free. Reynolds Library pays yearly subscription fees for its databases just like it pays yearly subscription fees for its print journals, magazines, and newspapers. What's wrong with just Googling it? There's nothing wrong with using Google or another search engine to find information on the web. Just keep in mind that most of the information retrieved from the open web hasn't been evaluated. It could be inaccurate, biased, or it might not be current. Also, the authors of web sites might not have the same credentials as the authors of articles found in the library databases. You will need to more carefully evaluate information retrieved on the open web. All of the articles found in the library databases have already been evaluated for accuracy and credibility by discipline-specific experts and publishers. My instructor told our class we are not allowed to use any (or only a few) Internet sources. Can I still use the library databases? Yes. Library databases use the Internet as a delivery system but they are not considered the Internet. In most cases, your instructor means that they don’t want you using web sites or web pages found on the open web through Internet search engines such as Google. Most of the published resources found in the library databases are not available on the open web. Always clarify with your instructors what they actually mean when the class is told no (or few) Internet sources. Use My Reynolds username and password to access library databases from off-campus. 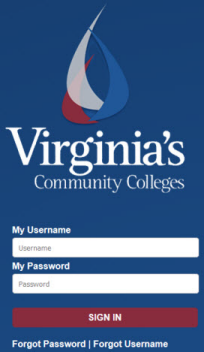 If you click on any Reynolds Library database link from off-campus, you will get a Virginia's Community Colleges login screen first. Login with the same username and password you use for accessing any services through My Reynolds (e.g., Blackboard). After you login, you will get the database search screen. If you are a student currently enrolled in a Reynolds course, and cannot login from off campus, please email Will Weaver (Web Services Librarian) dweaver@reynolds.edu or call 804.523.5323.